Each and every day, I wait expectantly for the mailman. I am fortunate to receive my mail as early as 8:30 am, and still this often doesn’t feel early enough. Anticipation builds and builds. Inevitably, I’m crestfallen to discover nearly useless junk mail. Day after day the scene plays itself out in the same way. Not yesterday though. For the first time in two months I received something of worth from the mailbox. Ten months ago I stoked up a fire in the woodstove in my “shack,” and penned a letter to an old friend that is as close as a brother. I have no siblings, so these precious few relationships of mine are vital. Thoughts and feelings bubbled up from deep within my heart, pouring out on the page, as I struggled with a job that was taking me nowhere, and wrestled with feelings of loneliness and inadequacy. I also apologized for any over-confidence I may have had with respect to various opinions in my youth. I’ve since come to appreciate the gray areas. I hadn’t heard from this buddy in nearly ten years, so I eagerly anticipated a response. That all changed yesterday when I received an incredibly honest letter from my friend in reply. The wait—nearly a year—was entirely worth it. The experience, an exercise in patience, was somewhat akin to waiting on a letter from family in the Old Country (praying the ship carrying the precious dispatch from the other side of the world wouldn’t sink). Priceless. Immeasurable worth. Timeless. Receiving a physical, tangible letter in the mail can be one of the highlights of the year. Seriously. Receiving these few pages from my friend was more valuable to me than the cumulative “joy” of 500 texts that could have been exchanged over the course of the preceding decade (if I had a cell phone – I’m still proud to remain as one of the few holdouts in the year 2015). My friend didn’t insult me with a bland description of a perfect life. Rather, he was honest about various struggles and doubts that most of us can relate to. Rather than call him on the phone with concern or out of a misguided attempt to “fix” things, I’m eager to engage in a lively correspondence so I may gradually learn more about it. I just want to rekindle our friendship, and pursue a back-and-forth conversation. Frankly, I need letters from him every bit as much as I hope he senses he needs them from me. I can’t imagine what a surprise phone call or email from him would have been like. I suspect it would have been somewhat stilted and awkward. I was affected so much by the receiving of this single letter that I hardly got any sleep last night. Thus, I’m sharing a bit of the experience with you. I receive perhaps five letters a year, and hope this figure might double in the coming year. Frankly, I write damn good letters that I hope bring cheer and encouragement to the recipients. I have struggled with whether or not there is any purpose to this “last stand” sort of crusade to revive the art of writing letters. Truly, with all modesty, I really do write a fantastic letter. And yet, I receive so few in the mail. This finely honed skill of mine, however, seems anachronistic in the digital age. Being in the throes of a period of reinvention and transition (having lost my job last year), this passion of mine can seem useless. It certainly doesn’t help feed the family. Reducing skills to potential bullet points on a resume has a way of calling such things into question. Receiving this one letter addressed that nagging doubt. I learned to write letters during my nine month hiatus from the “real world” when I took a break from college at the age of 19. At that time I communicated my intention to not return to school while sitting above the most beautiful waterfall in Minnesota, Partridge Falls, on Labor Day weekend of 1995. 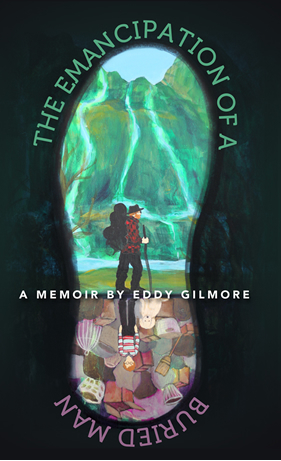 I had spent the night in the secluded location—my sleeping bag laid astride a roaring campfire that provided light to read A Walk Across America, by Peter Jenkins. The curvature of the earth seemed to fit perfectly into the small of my back for support. The Canadian border was just 20 feet away, on the other side of the river, and I was content and at peace for the first time in my life. From this spot I communicated my plans to pursue an education as a sort of wandering and inquisitive man. Institutional schooling was doing nothing for me, and I had so so much to learn (see the tab regarding my upcoming book for further background). I had been lost in every conceivable way. Anyhow, A WRITTEN LETTER IS THE BEST WAY TO COMMUNICATE SOMETHING CONTROVERSIAL LIKE THIS! Living in a cabin without a computer, telephone, television, or radio, it was surprisingly simple for me to leave the stress of a world I did not understand far to the south. If my parents, or anyone else, wanted to argue with me about my potentially “life-ruining” decision, they would need to take the time to write a letter. I can’t underscore enough how freeing this was! I cannot imagine being a young person today, wrestling with a similar decision, and having to contend with a cell phone, social media, and email. They would be inundated with “advice.” I had no such trouble. I was completely free. Emancipated…. Hence the name of my book, The Emancipation of a Buried Man, which I believe should be ready for release within a couple weeks (I’m completing the editing of the audio version now, and it’ll be available in print and Kindle as well). There was no mail delivery at my semi-remote cabin on a lake up in border country, so I received mail at work (a popular lodge and restaurant on the North Shore of Lake Superior). Returning home with one or two letters was an event to be cherished. This only happened once or twice a month, so such opportunities for communication from the outside world were not taken for granted. I spent hours crafting letters in response. There was so much to share. I was changing in every conceivable way. These were my dispatches from a new world of wonder, and I patiently waited for weeks and months for a response. This is so much more satisfying than the simple exchange of information via text or email! 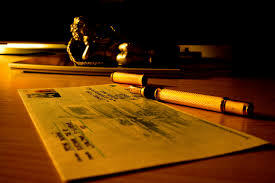 A letter, on paper, has the potential to convey the true you. Your very DNA is left on every page, and even your saliva is used to seal the envelope. Remarkably special, one-of-a-kind, and significant. Write a letter to someone today. I guarantee your friend or loved one will be touched in some way. Perhaps you may even benefit the most….